As a nurse caring for seniors the past 35 years, there are many universal care concerns I have found across the continuum. With the “Baby Boomer Generation” reaching critical mass, there are many myths about aging we need to address. Most of us wish to retire in our Golden Years and enjoy the fruits of our lifetime of blood, sweat, tears, and taxes and hopefully rest on the security of good financial planning. Unfortunately, for modern families, life often gets in the way. The culture has changed regarding family care expectations. The first challenge the older population has to accept is the paradigm shift from families caring for their own to dependence on care from an outside source. This has occurred due to increased family obligations and employment necessitating daycare for children, and inability to provide full-time in-home care for elderly parents or relatives. Imagine instead the typical nursing home patient. If you are fortunate, your family comes to visit at least once a week. You have been torn from all you know as your way of life because no one in the immediate family has time or resources to care full-time for an aging relative. Safety has become a serious concern in living on your own. There are continuous pain and discomfort with most activities of daily living. Also, an average nursing home patient takes 10-15 medications and supplements a day. Compound this with depression, lack of appetite, the anxiety of who will be your caregiver tonight, or the stress of another day with no intellectual stimulation due to staffing issues and little activities. The issues above are only the tip of the iceberg. The loss of basic control over their lives leads many of my patients to experience a deep sense of loneliness, hopelessness, and helplessness. On the other end of the spectrum, are the angry, sullen, generally “ticked off” population. Lack of intellectual stimulation often leads to withdrawal and depression. This, in turn, sets off the care planning committee to request a psychology consult which then adds even more pharmaceuticals to the mix. These medications not only have significant side effects, necessitating additional polypharmacology but many times these interfere with appetite and activity tolerance as well. It is well known that many psychoactive medications are a crap shoot in efficacy. Although there is a myriad of chemical cocktails available, the typical PDR admits that the mechanism of action for most psychoactive meds are not well understood. The therapeutic window of effectiveness is usually measured by 30 days, with the side effects always needing to be monitored and measured objectively. This is the psychological equivalent of throwing spaghetti against the wall to see what sticks. Is this the best way to deal with the generation before us? Don’t they deserve to be cared for with honor and respect? 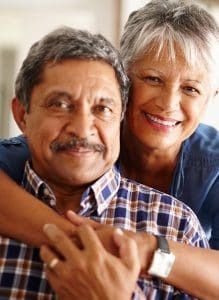 Since the legalization of medical cannabis in 29 states and the District of Columbia, our parents and grandparents have been begun looking into more reasonable care options for comfort in their retirement years. Cannabis is increasingly becoming a first line option for those able to make decisions while in retirement communities and assisted livings independently. Pain, arthritis, insomnia, loss of appetite, depression, and anxiety, are normal conditions our elders face daily. Cannabis medicine, with individual care planning and teaching, stands to be one of the primary strategies for overall coping, relief, and a promise for increased quality of life. Seniors have so many options in cannabis care, and there are increasing reports of positive outcomes. Care facilities should be considering ways to allow their residents safe access to this revolutionary treatment. Amazing results are being documented in patient satisfaction reports not only in the United States but around the globe. Cannabinoid medicine balances the endocannabinoid system. Anxiety, anger and depression decrease while appetite, focus, and engagement with the environment increase exponentially with this therapy. With careful observation and diligence in harm reduction practices, many of the cascading side effects of pharmaceuticals can be systematically eliminated one by one. 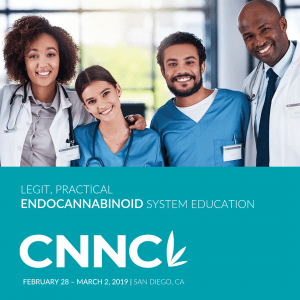 Cannabinoid medicine does not have the same addictive properties of many other drugs and indeed, can be used as an exit strategy to decrease or remove liver and kidney destroying substances. The worst-case scenario of cessation of cannabis therapy is a return to the previous state of being. There is not the withdrawal as noted with alcohol or narcotics; the severity has been compared to withdrawal from caffeine. Science has proven cannabis as a neuroprotectant and studies are showing that it has the capability to regenerate neural response in the aging brain. (2) Seniors generally, do not want to get “high.” They want to feel well, have a life worth living, and engage in their environment and continue relationships. Imagine the potential with memory care “lock down” dementia units! Cannabis and music have both been shown to bypass the withdrawal instinct from fear that many elders face being torn from their home environments and institutionalized for safety and ongoing care. Both have broken through to nonverbal patients who had withdrawn and become catatonic, and connected neural pathways long forgotten. Please see “Alive Inside: A Story of Music and Memory” I can easily imagine a resurgence of classic rock in nursing homes very shortly! Where cannabis opens the forgotten pathways, music and human interaction reconnects the lost abilities. Everyone in life needs validation and connection to thrive and survive at an optimum level. There is a multitude of administration methods that work well in the aging population. First, the most immediate measurable results are being found with cannabis oils and extracts, particularly those with higher CBD content. This allows for little to no psychoactive properties, good outcome measurements, significant anti-inflammatory and almost instantaneous pain reduction. There are topicals that are very effective for arthritic joints and a good first line of defense for those wishing a non-intoxicating experience. Inhalation by vaporization is recommended over combusting the flower due to carcinogens in smoked material. Effects are almost immediate, however, so patients who choose an inhalation method of administration, should have a companion available until they are aware of the individual effects. We would also take carefully into consideration both cardiovascular and pulmonary risks, as well as oxygen therapy when determining administration methods. Suppositories are showing mixed results for those unable to take cannabis by other administration methods as well. Being ever mindful of the risk of falls, edibles are not recommended as a general rule as a beginning therapy; however, for chronic pain, these are usually the longest acting option available. The 60’s generation is not afraid of cannabis as a general rule; the stigma is fading. Education, knowledge and thought out policies are the answer in continuing care facilities. The list of most common side effects should be looked at carefully as well. On any pharmaceutical, the list includes every possible adverse reaction up to and including death. For cannabis….the side effects are universally predictable and manageable with patience and time. There has NEVER been a death attributed to cannabis in thousands of years, so the best case scenario includes subjective pleasure, dry mouth, sedation, anticonvulsant, antispasmodic, antidepressant, antianxiety, antiemetic, relieves intraocular pressure, and analgesia. Worse case might include nausea, paranoia, dizziness and a rapid heartbeat but these are usually self-limiting and can be counteracted with CBD formulations, rest, hydration and time. This should be no contest to any logical thinking individual in the long-term care field from physician to a caretaker. The Golden Years are meant to be the reward for a life well lived, hard work, planning, and sacrifice and should allow for our seniors to enjoy these their twilight to the maximum extent humanly possible. What harm is there in placing cannabinoid therapeutic options on the table to increase the quality of life? The generations before us deserve the best we have to offer, even if we cannot individually care for them, the facilities they are living in should have these options widely available. 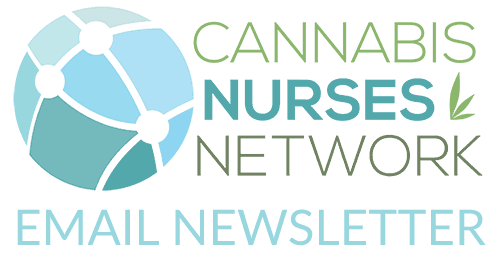 Trained cannabis nurses should be leading the charge for seniors, as many of us are not that far behind. With the utilization of cannabinoid medicine in an institutional environment, an appetite for food will increase. This will necessitate an elementary evaluation towards a quality of food in those care facilities. I would like to address this, but alas, this is another entire article altogether.